Getting started with Together Tales is as simple as 1, 2, 3. 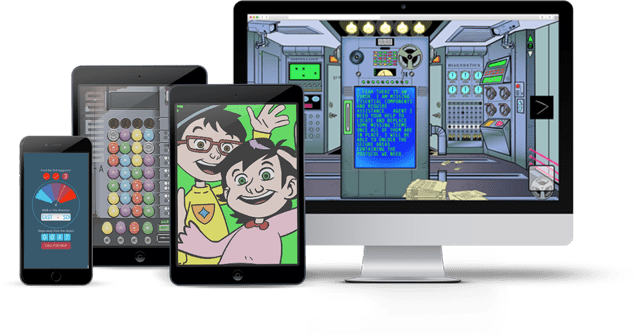 When you order a Together Tales book, you’ll be prompted to register a parental account, which will allow you to customize your child’s adventures. The simple interface will guide you through the entire process, tell you when to release new chapters and set up the interactive elements. A Together Tales book divided into chapters. Story extras, communications, and even recipes (these items vary depending on the book). Give your child the first chapter in the series and make note of it in your account. The software is designed to keep you on track, so you can focus on creating the ultimate reading experience. As your child reads, they’ll enjoy interactive elements and games that you help create. Click here to start the reading adventure of a lifetime. Together Tales is a series of interactive books with a special dash of magic. 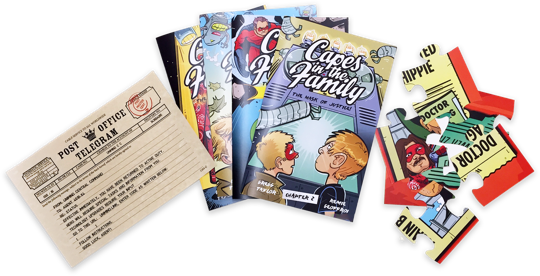 Each Together Tales book tells the story of a strong kid, or group of kids, on an adventure. But they can’t do it alone. In order for the stories to progress, your child will have to help. 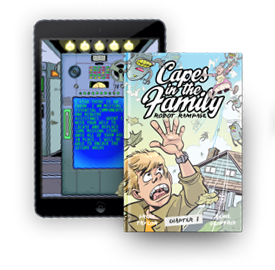 Through digital interactive elements and real life puzzles, your kids will become deeply immersed in the story so that they become an essential part of its completion. You’re part of the magic! 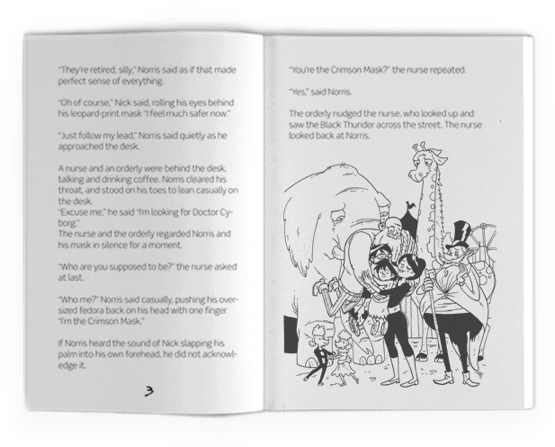 After you order, you’ll receive an Adventure Kit, containing everything you need to create the ultimate reading experience, including chapters and puzzles. After you set up an account, you’ll be guided through the entire adventure process from the first chapter to the last treasure hunt. Our software is designed to make running the adventure simple, so it’s fun for everyone. As your child reads a chapter, you’ll be guided through an activity set up process. It ranges from as simple as hiding a letter in your home to as elaborate as designing a real-life treasure hunt. Once your child has finished the chapter, they’ll be directed to the activity you’ve just set up. Each activity is linked to the book, and your account, so when it’s been successfully completed you’ll be notified to release the next chapter. That depends on you and your child. You can get as involved and elaborate as you like, or keep it simple. It’s entirely up to you. We’ve found that the stories can take anywhere from a few days to a couple of weeks to complete. It all depends on how fast of a reader your child is, and whether you choose to release each chapter immediately. But don’t keep your kids waiting too long: once they’re hooked, it’s hard to stay away. Nope! Your account is designed to be completely foolproof. It’ll guide you through the entire process, so you’re never confused or at a loss of what to do next. But if you do get lost, reach out. We’re here to help every step of the way. We know how important your child’s safety and privacy are, so we never contact them directly. All communications go through the parental account.